For cinema lovers, you will not miss Kong Skull Island because this is one of the most successful works of cinema art in Hollywood. Kong- skull island is the 7th film about Kong – the iconic beast character of history film, It is showed the first in 1933. Unlike other King Kong films in 1976 or King Kong film in 2005, Kong- skull island is a primitive version. 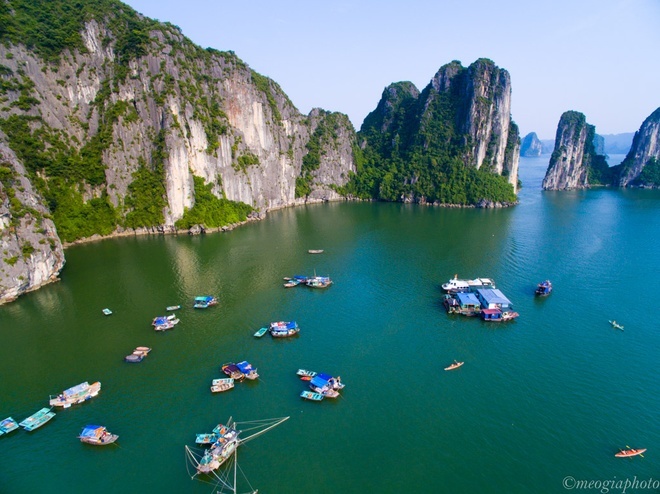 There are a large number of beautiful and majestic scenes in films, but perhaps the most impressive and attractive is the scenes in Halong Bay cruises, Ninh Binh and Quang Binh, Vietnam. 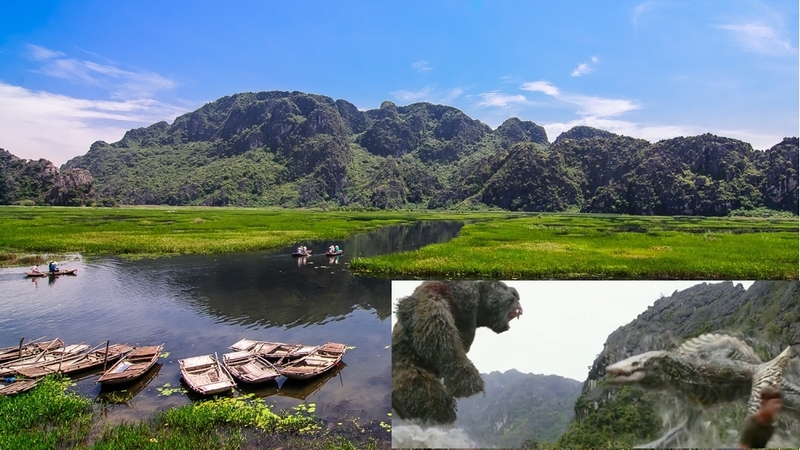 Besides Kong’s dramatic battle, viewers in the world can enjoy the beauty of Vietnam. 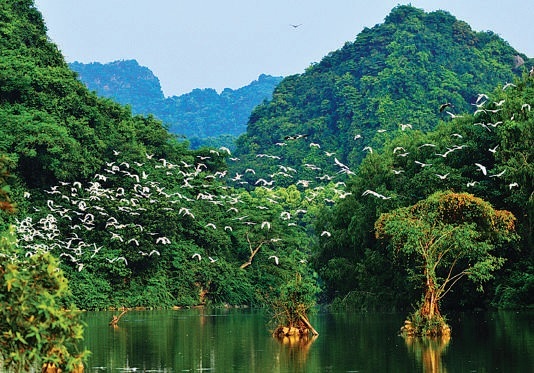 Located about 80 km from Hanoi, Van Long lagoon is located in Gia Vien district, Ninh Binh province. The lagoon is the largest wetland reserve in the Northern Delta Vietnam. Van Long is a charming beauty. 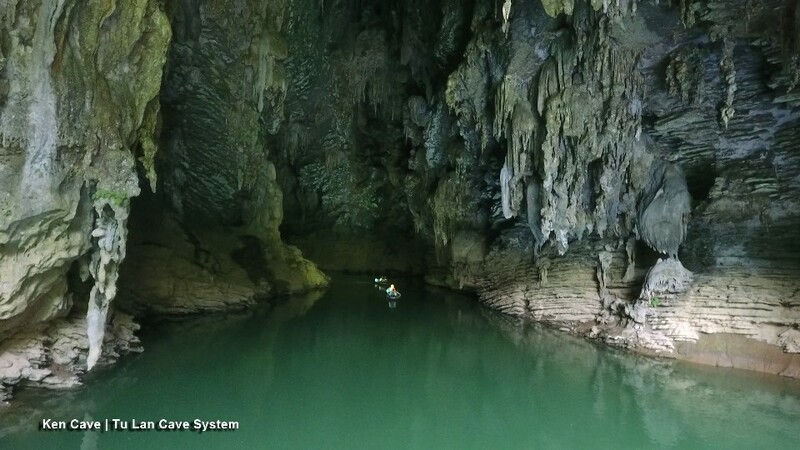 The limestone mountains, caves shaped is the shelter for many rare animals. The reeds in the middle of the lagoon make the scene more wild, mysterious. It is really pity for you, if you don’t visit here. 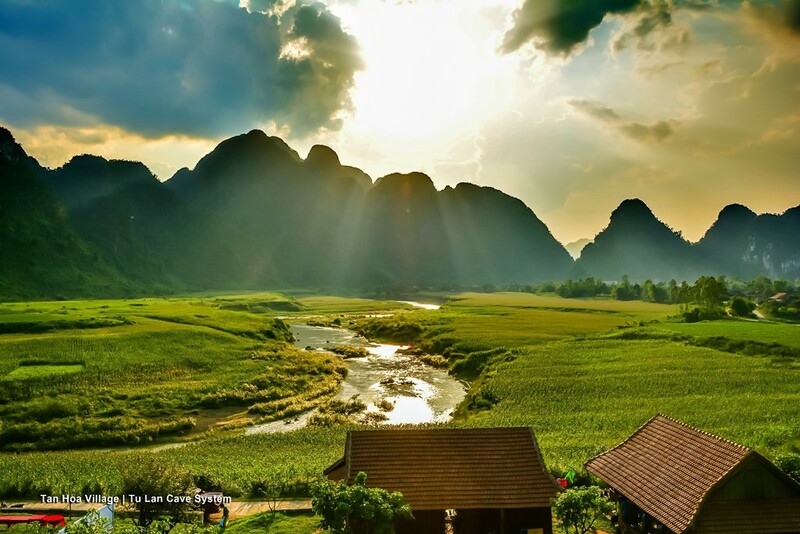 Quang Binh is the next place that filmmakers choosed for this film. 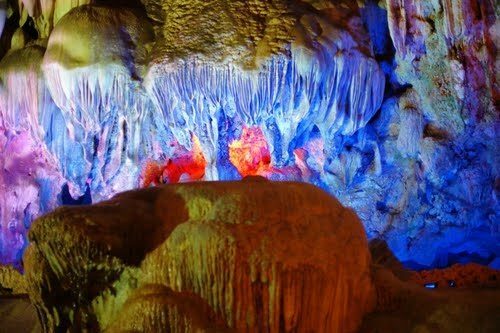 All the people stunned and surpriced by the wild and unique beauty of cave system structure that nature gift to Quang Binh. 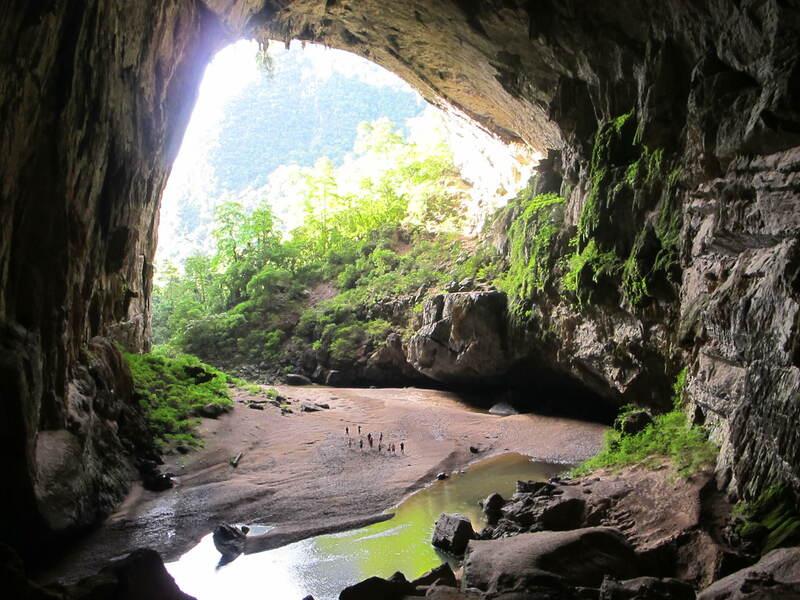 The Tu Lan cave system is located in Tan Hoa village, Minh Hoa district, from about 70 km northwest of Phong Nha – Ke Bang National Park. The mysterious and magical beauty becomes the attraction of Quang Binh. 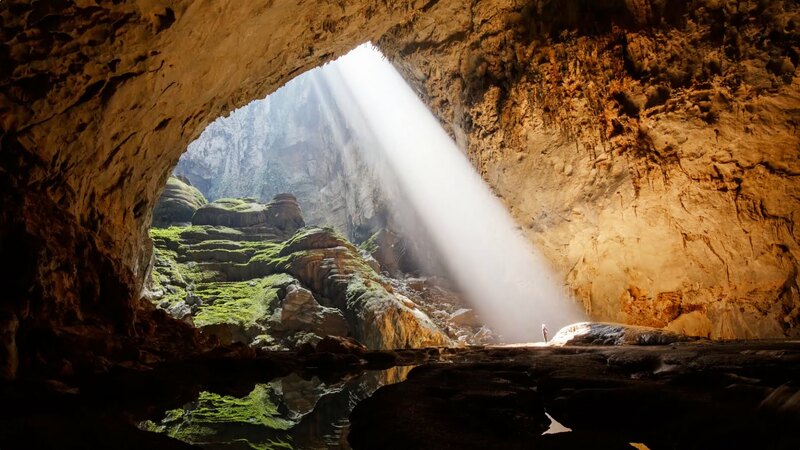 If you travel to Quang Binh, you can also visit Son Doong cave, Phong Nha cave…. 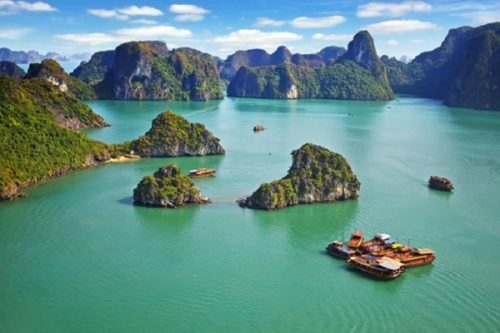 Halong Bay is a well-known travellers by destination of Vietnam, recognized by UNESCO as a world heritage site for esthetic and geomorphological values. 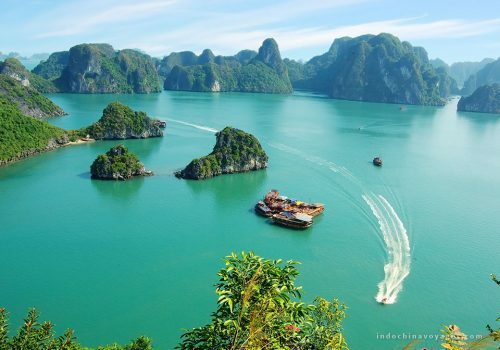 A lot of magnificent scenes were filmed in HaLong Bay tour. 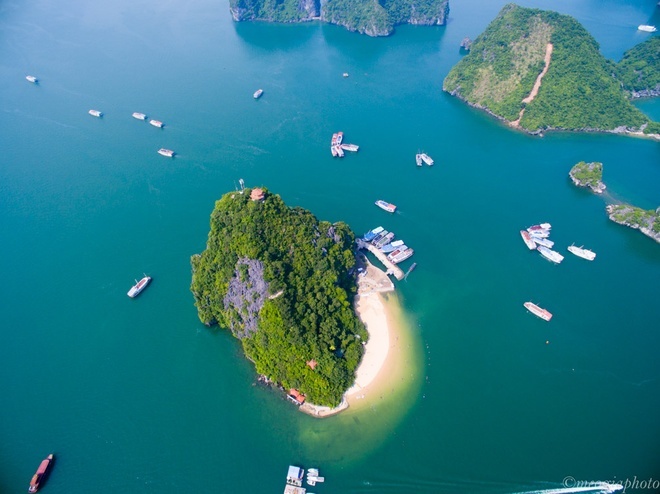 Ti Top Island where the famous beach with white sand and blue water is always a favorite places for all visitors when visiting Halong Bay. Cong La – Ba Hang is about 30 km from Tuan Chau and about 20 km from Hon Gai. 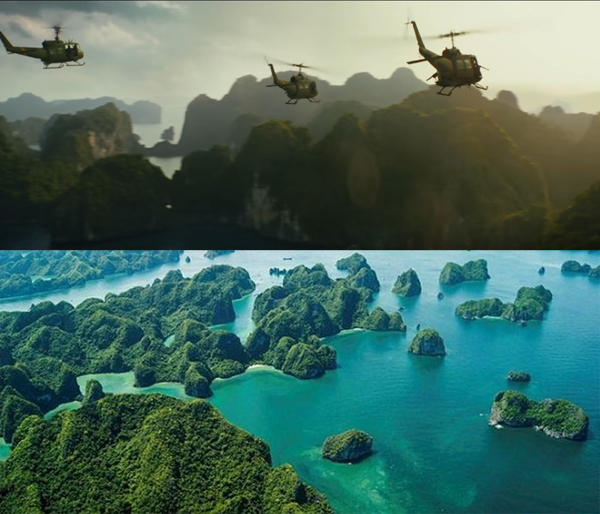 This is the next to Cat Ba Island, and is a scenes of the Kong- Skull Island. Besides the beautiful natural scenery, the hospitality and friendliness of the local people here also makes the filmmakers impressive. 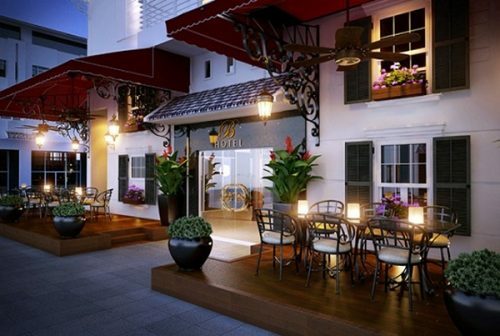 Sign up your trip to experience and explore this destination in Vietnam!